In which freelance writer Malcolm Wyatt jealously guards his own corner of web hyperspace, featuring interviews, reviews and rants involving big names from across the world of music, comedy, literature, film, TV, the arts, and sport. 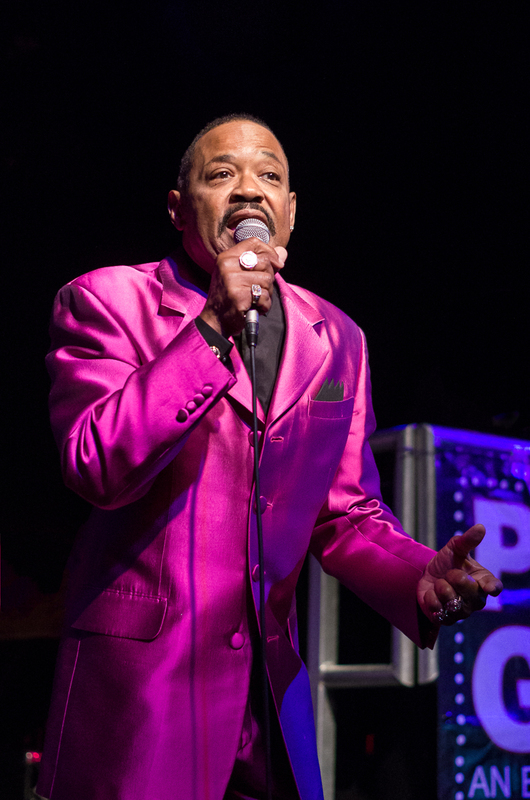 While the temperature plummeted 52 degrees lower than the name of the venue, Eddie Holman brought plenty of warmth when he visited this Northern Soul stronghold on Friday night. And from the moment this Philly veteran stepped on stage at Brook Street, a feelgood vibe transported an appreciative Preston in-crowd. Granted, it was a disappointing turnout for one of the true survivors of the ’60s soul scene, but those who made the effort were amply rewarded. As I walked in, the main man was already in full flow, albeit via the magic of the turntable, DJ Glenn Walker-Foster spinning the wondrous Eddie’s My Name, as fresh today as it must have seemed on its release 49 years before. A couple more floor-filling tracks later, the man himself was out there, GWF’s introduction prompting our first sight of this resplendent vision in black shirt and pink suit. Seconds later we could marvel at those soulful tones, as strong today as ever before, a great advert for all those church performances for this Baptist minister. Eddie cut through the winter’s night on an assured opener, Stay Mine for Heaven’s Sake providing an apt vocal warm-up for this accomplished performer. The floor was hardly rocking at that stage, his audience more curious, hiding at the back as if checking out just what he had to offer. Eddie soon got around that though, luring us towards him and encouraging a few more dance moves, as if to prove Preston really has got soul. 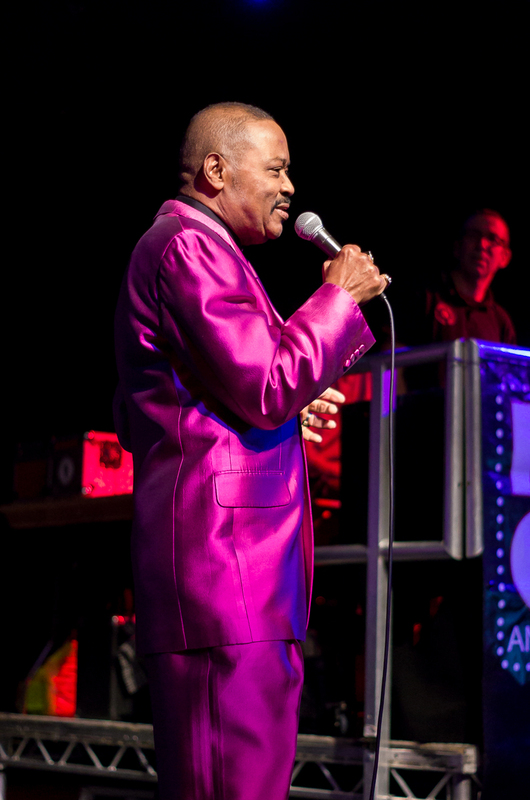 Such moves were not for our special stateside guest though, but as the man himself said, ‘I’m a singer, not a dancer’, taking on board advice the legendary Jackie Wilson passed on all those years before. His own 2014 shot at Eddie’s My Name followed, a little slower than the original but with the groove intact. That beat slowed down some more for the following winning ballad, his take on It’s All In The Game – the flip-side of his sole UK hit – again showcasing that wonderful voice. A pretty faithful run through Al Green’s sublime Let’s Stay Together followed, proof that there’s not just one rocking reverend that can switch effortlessly between gospel and soul. Talking of legends, next up was Marvin Gaye’s I Heard It Through The Grapevine, introduced by a recollection of Eddie’s own ‘last to know’ first-love betrayal. But while he hinted of halcycon days playing the field, there was plenty of talk about the rock in Eddie’s life too – his wife of 48 years, co-writer ‘Sheila the wheeler dealer’. Their joint 1968 composition Four Walls followed, the main man going on to explain how Eddie’s my Name was one song his good lady did not approve of, not so keen on reminders of his prenuptial days. Up next was She’s Wanted In Three States then a downright brooding I Love You, dedicated to all those UK fans who had supported him through the decades. There was a case in point on the next song, one he said the success of which helped pay his children through college, the ’70s disco feel of This Could Be A Night To Remember having that dancefloor moving again. He was on top form by now, and his biggest Northern Soul hit followed, I Surrender keeping the groove going. In fact, Eddie was so impressed he decided to give it a second go straight after, truly on a high, as if unwilling to let his set end. Earlier on, he jokingly explained how we couldn’t take anything for granted with regards to reaching those high notes, giving us a trial run through his big chart hit. He could of course, and proved it in style with a momentous Hey There Lonely Girl, sheer falsetto power and good old-fashioned nostalgia proving a perfect combination. For all his technical ability and showmanship, there was plenty of humour too, Eddie grabbing his suit trousers as if to suggest the tight undies helped him reach those high notes. 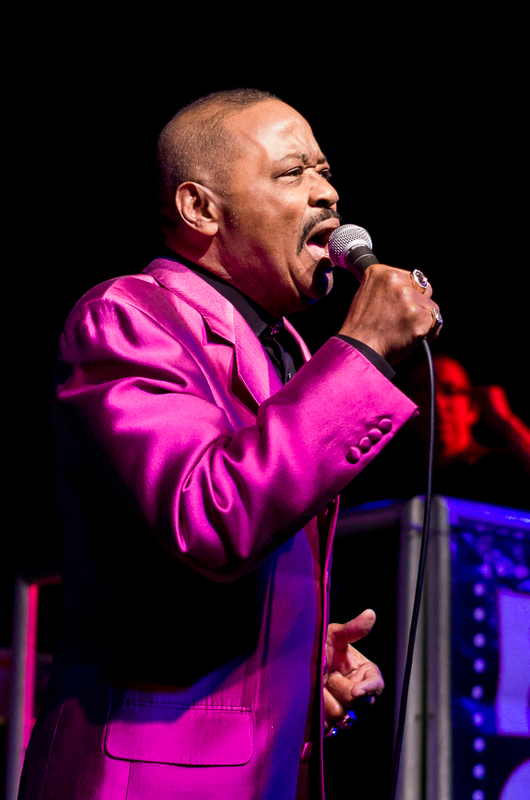 I’ve said it before – in relation to the last Preston’s Got Soul event with fellow Northern Soul star Judy Street – but I would have loved to have seen Eddie out there with a band, just like Martha Reeves had last December. But he gave us no less of a performance with his backing tracks, although next time Eddie might do well to remember his specs so he can check his set-list a little more subtly. It didn’t matter though. In fact, it probably added to the occasion, reminding us for all his pride at being the world’s No.1 falsetto, he’s genuine too, at ease with and at one with his audience. With that he was away, Dave Stabler taking over the decks as Eddie took a brief break before coming out to mingle, having ensured PSG’s last 53 Degrees date was that Night to Remember we’d all hoped. For a full interview with Eddie Holman on this blog, head here. A freelance writer and family man being swept along on a wave of advanced technology, but somehow clinging on to reality. It's only a matter of time ... A highly-motivated scribbler with a background in journalism, business and life itself. Away from the features, interviews and reviews you see here, I tackle novels, short stories, copywriting, ghost-writing, plus TV, radio and film scripts for adults and children. I'm also available for assignments and write/research for magazines, newspapers, press releases and webpages on a vast range of subjects. You can also follow me on Facebook via https://www.facebook.com/writewyattuk/ and on Twitter via @writewyattuk. Legally speaking, all content of this blog (unless otherwise stated) is the intellectual property of Malcolm Wyatt and may only be reproduced with permission. This entry was posted in Music and tagged 53 Degrees, Al Green, Eddie Holman, Hey There Lonely Girl, I Surrender, Jackie Wilson, Marvin Gaye, Preston, Preston's Got Soul, This Could Be A Night To Remember. Bookmark the permalink.